The Post has a point, and Earhart’s vanishing, along with navigator Fred Noonan over the Pacific in July 1937 during an attempt to circumnavigate the globe did prompt a costly effort to rival that of the fruitless search for MH370: a sixteen day, Presidentially mandated scouring of an area the size of Texas comprising nine vessels, four thousand crewmen, sixty-six aircraft and a bill of $4 million. That said, there was an undeniable fact: “that there was an air turnback. We cannot deny the fact that, as we have analysed, the systems were manually turned off with intent or otherwise.” Tantalisingly, the motives are left to be pondered over, built upon and inflated. Agency, in short, is everything; and speculation about how that agency manifested itself has been frenetic and rife. Pilots Captain Zaharie Ahmad Shah and co-pilot Fariq Abdul Hamid have furnished investigators and conspiracy theorists over the years ample, if somewhat indigestible fodder. The MH370 investigation team preferred a different diet of solids. The rest have been left to fill in the blanks. The captain had certainly done his bit to excite various opinions, with Malaysian police documents suggesting that he had been practising a “suicide route” on his home flight simulator. But as ever, the police were simply patching together scenarios rather than accepting them. 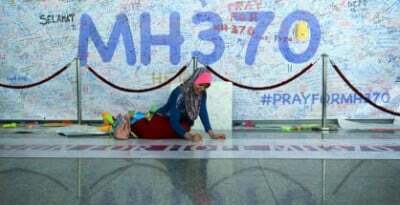 The Australian was more brazen: Zaharie had hijacked the plane, locked the co-pilot out, depressurised the plane only to then re-pressurize it before landing gracefully upon the waters of the southern Indian Ocean then sinking it. Such pictures of horrifying finality are always sealed by theories of the mandatory cover-up. In Earhart’s case, one catchy, and very elastic version, is that US Secretary of the Navy James V. Forrestal felt disposed to conceal the destruction of Earhart’s Lockheed Electra 10E at Aslito Field on Saipan in 1944. The aeronautical beast, so goes this theory, survived its occupants. Destroying the beast would destroy speculation. Forrestal’s diaries remain silent on the issue, but this did not discourage the idea that Japanese forces might have been responsible for doing away with the two flyers in an act of blood lust. This, suggest Thomas E. Devine and Richard M. Daley in The Amelia Earhart Incident, could well have been a pre-war Japanese atrocity against Earhart and Noonan, who “conceivably flew hundreds of miles off course and might well have observed forbidden military preparations in the Japanese Mandates.” Forrestal, being savvy to a post-war order where Japanese assistance would be needed to counter the communist menace, kept mum on the whole affair. The authorities, however, have not covered themselves in professional, well-regarded glory. The Ministry of Transport did not see fit to have representatives to answer questions from family members. The report is also silent on the foot-dragging. It took hours before any interest was taken in pursuing the flight. When a search did commence, eight days were wasted in a mistaken spot. Then came 1,605 days of waiting for an unsatisfactory 449 page report.